We saw a lot of neat things at Minecon, many of which we have already covered here. 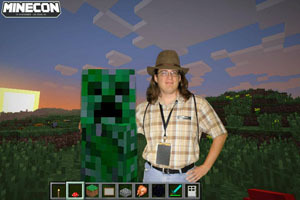 Still, even the most awesome convention in the world wouldn't have been worth it without you guys, and we saw a LOT of you there - roughly 5,000 attendees packed into the convention, waited in long lines, traveled from booth to booth, saw numerous panels and even met Mojang in person. 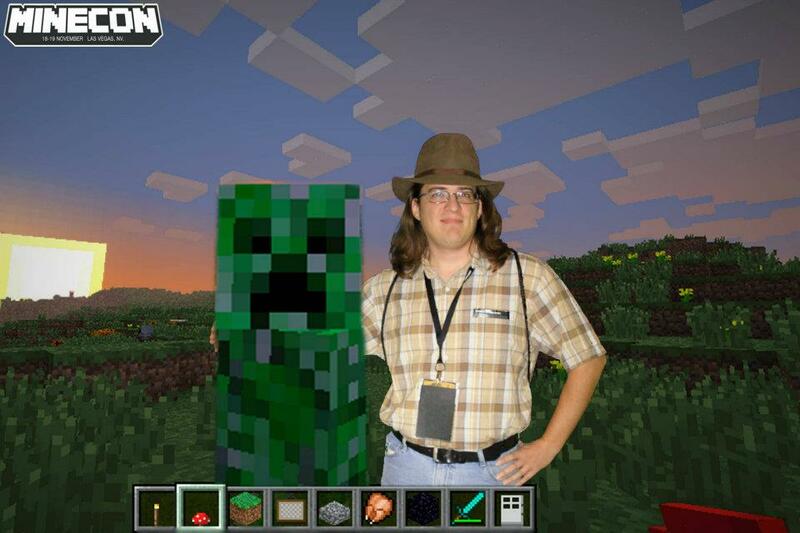 At our Curse booth, we had a green-screen photo op, where people could get themselves inserted into the Minecraft world, and from where I was sitting, it seemed like nearly every attendee paid us a visit at some point! It was really awesome getting to meet some of our users, and see the creative ways they could immerse themselves into their chosen backgrounds. Below, we show off some of our favorites - check it out! You can click on any of the images for a larger version. 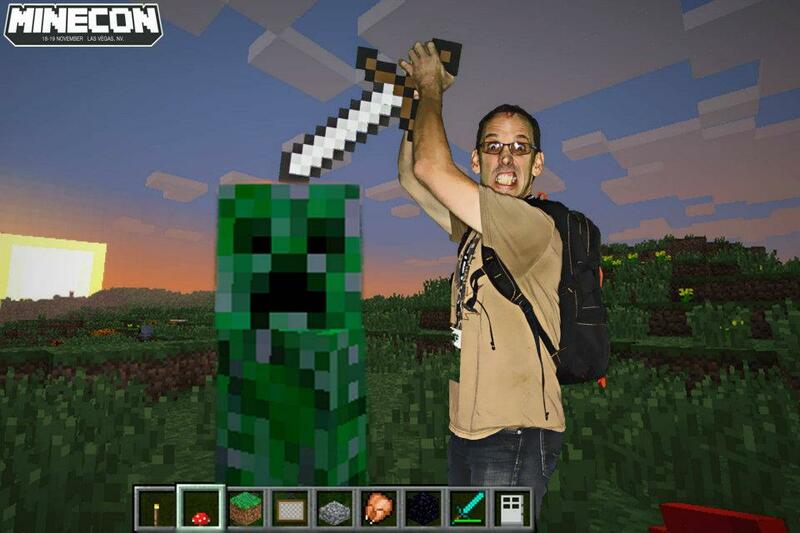 I didn't know they implemented back-stabbing mechanics in the game already! 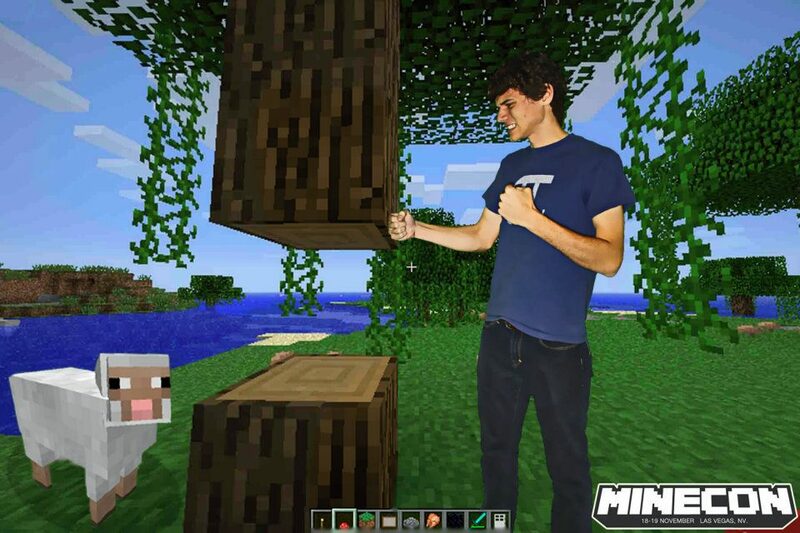 Pico likes hitting sheep until they do her bidding. 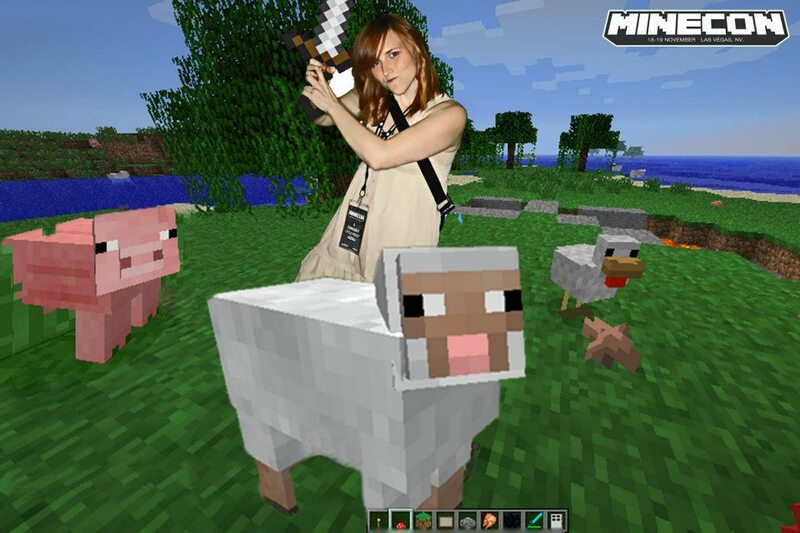 Give me your secrets, sheep! Everyone says that creepers just want a hug. He went above and beyond! Steve has taught us that punching trees is not only a viable wood-gathering method, but that we can't be injured from it! 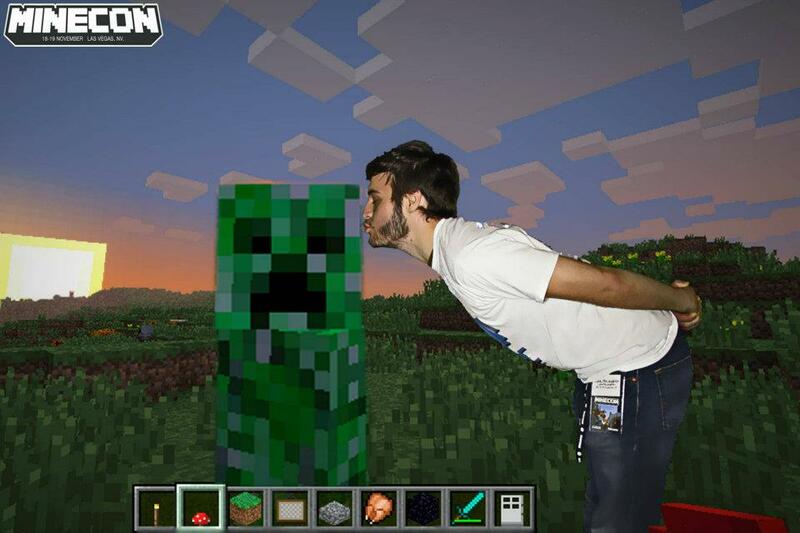 While the other guy tried to make nice with Mr. Creeper, this one seems less amorous and more terrified. Better get out of the blast radius! 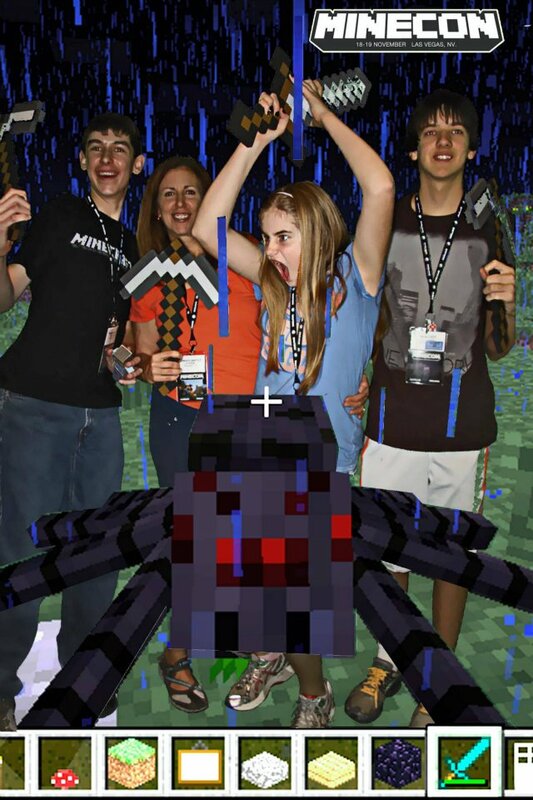 She seems less concerned with the spider and more focused on the guy with a pickaxe. 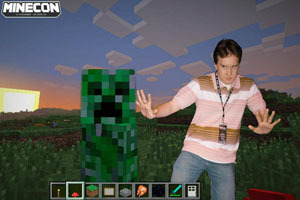 Maybe he's a griefer? She wields this spider like a fencing foil, which sounds strange at first, until you consider how awesome it would be to chase other players around attacking them with your own spider. 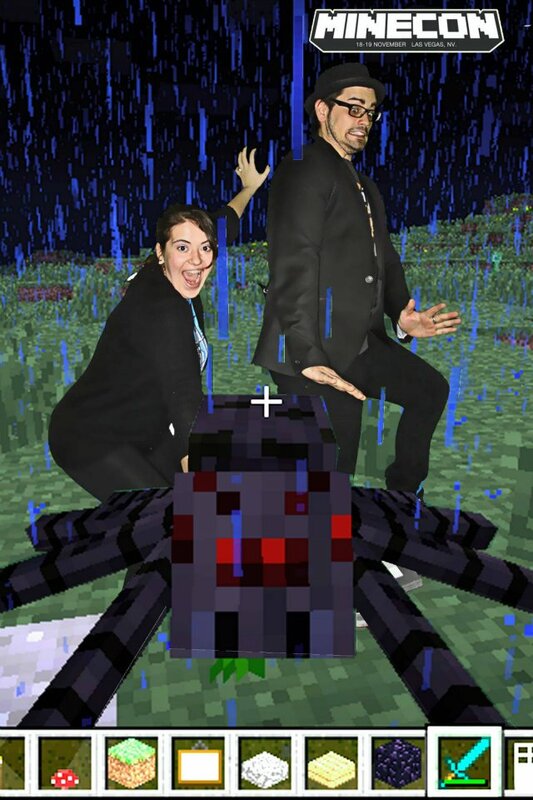 One may think he's trying to keep the creeper at a distance, but what you don't see off-camera is the legion of silverfish rushing at him. Father/son traditions are as old as time itself, and this is no exception. If you can't teach your boy how to hunt mobs, who can? I wish i was there. Why to make me feel bad. I hope they didn't have to pay to get these taken, as it's not hard to do this with Photoshop for free. 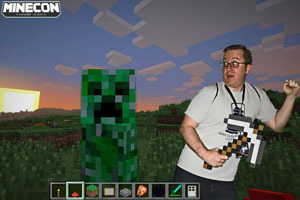 Like Minecraft and other video games? Of Course you do! Haha that's great love the father and son one! Disappointed nobody did The Creep. The movies make apocalypse seem so... fun. 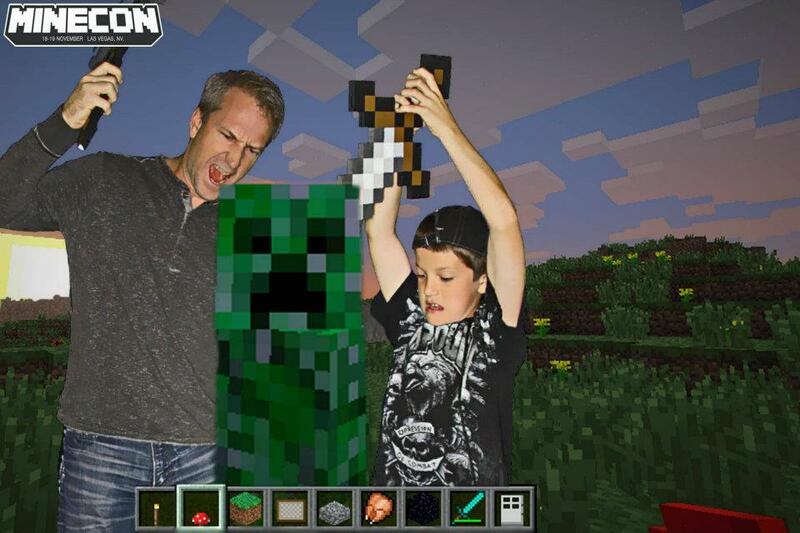 Father/son ordeals have transfered into minecraft. Mission accomplished. What? My picture won't work? GODDAMIT GODDAMNIT SO MANY RULES BROKEN! AHHHHGGGHGHHH!!! Tell me, who is on the second photo? The captions are pretty corny, but I still love them.